If you want to make physical fitness a regular part of your healthy lifestyle but you struggle to find activities you enjoy — or you have old injuries or other limitations that prevent high-impact exercise — it’s time to consider swimming. Not only is swimming fun for everyone in your family, but it also provides a diverse array of health benefits. Best of all, when you invest in a glass pool enclosure for your home, you can enjoy an active lifestyle all year long! Cardiovascular health benefits. Swim a few laps, get out of your pool and chances are you’ll notice you’ve raised your heart rate. That’s good news! Exercising your heart muscle improves oxygen flow and circulation, and that boosts your endurance. It also lowers your resting heart rate, which means your heart won’t have to work as hard to pump blood through your body — and that reduces your risk of heart attack. Full-body resistance exercise. Unlike other kinds of cardiovascular exercises such as running and biking, swimming provides a full-body workout. Spend a few weeks swimming and you’ll notice your abs, arms, back and shoulders are stronger and leaner — in addition to your legs and glutes. You’ll love how swimming strengthens your core. A metabolism boost. One of the best benefits of exercise is the increase in metabolism. 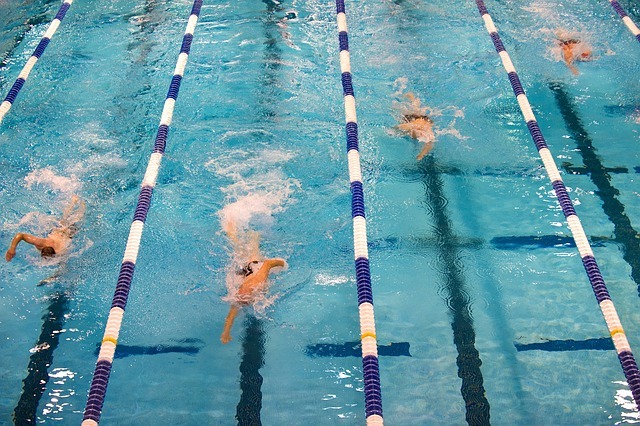 You’ll burn calories more efficiently when you swim for exercise. That makes reaching your weight-loss goals that much easier. A break from high-intensity exercise. Elite athletes often turn to high-impact training for big-time results, but they also know that swimming offers balance to a tough workout routine. It’s also a great way to stay fit during periods of soreness or injury recovery. Why Do I Need a Year-Round Pool? A pool enclosure not only keeps your pool cleaner, but it also reduces evaporation and the amount of chemicals you’ll have to add to swimming water. With a pool enclosure, your pool water will stay warmer — which helps relax your muscles, increase your flexibility and enhance stretching. Plus, as anyone who has trained for a triathlon knows, swimming is often the hardest event — and the more practice the better. Why start from scratch every spring? With a pool enclosure, you can keep improving all year long. A Year-Round Pool Enclosure also helps to protect you from UV rays while still enjoying the outdoors and sunlight during your workout. CCSI Glass Pool Enclosures offer 51% UV Protection! CCSI International designs and manufactures made in the USA residential and commercial custom pool enclosures. Isn’t it time you gained the health benefits swimming provides all year long? Contact us today to find out more!